We offer bladeless femto laser cataract surgery to patients in Florence, SC and North and South Carolina residents. Thanks to medical advances, cataract surgery is a common outpatient procedure. 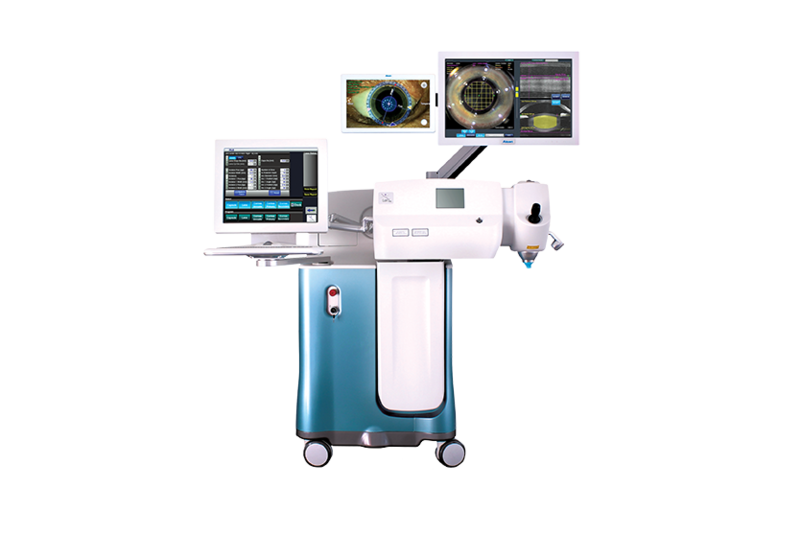 Today, patients have a choice between bladed cataract surgery and the advanced technology of LenSx® bladeless femto laser cataract surgery. When you choose the LenSx® laser approach, you will enjoy the benefits of a bladeless advanced technology procedure, a comfortable setting and a personalized surgical experience. The first step with the LenSx® femto laser is to create a small incision with the laser instead of a blade. The LenSx® femto laser then creates an opening in the thin membrane that surrounds the natural lens so that the cataract can be removed through the opening. In order to remove the cataract, the natural lens must be divided into sections. This critical step is also performed by the LenSx®femto laser, which causes less stress to the delicate fibers surrounding the membrane that holds the natural lens in place. Prior to inserting the intraocular lens, ORA VerifEye+™ Technology is used to provide real-time, continuous information that allows our surgeons to validate and refine surgical plans in the operating room with data not available in pre-op analysis. This step is critical to maximizing a successful outcome, since pre-op measurements are taken through the cloudy cataract. ORA helps to finalize lens choice and placement of the intraocular lens implant as well as provide better outcomes for patients with astigmatism or those who have previously had LASIK surgery.